Ok.. This is freaky and I don't know how true this is. 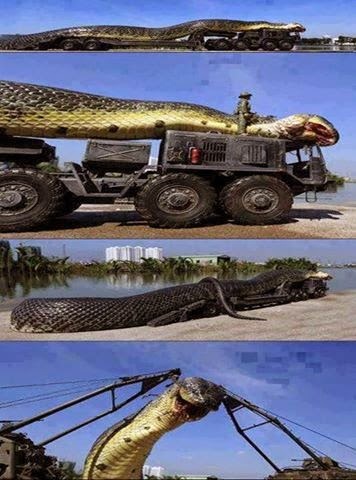 But... A gigantic snake was supposedly found at the Red Sea. 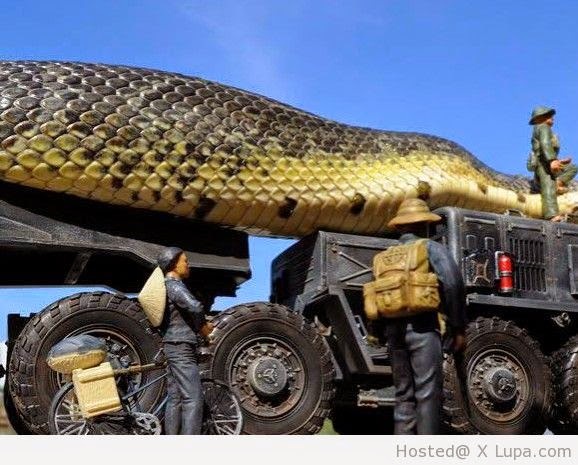 There were supposedly as many as 320 tourists and 125 divers from Egypt said to have become the giant snake's victim. The snake was finally killed by a group of elite professional scientists and licensed professional divers. The scientists that took part in this operation are known as Dr. Karim Mohammed, Dr. Mohammed Sharif, Dr. Mr.Sea, Pelajar Dr.Mahmoud and Dr.Mazen Al-Rashidi. The carcass of the snake was moved to the international animal storage room at the Sharm El Sheikh in Egypt.